they are finally gonna introduce a spares service ??? I have no idea. I don't work for them. As long as it is still on the radar, it's great news! I cannot imagine ANY ONE OF US is sitting around with our entire stash built and an empty bench just waiting on this release. Sort of wanting this to happen soon — ditto the tantalising TanModel Sea Flanker. But I appreciate how much the tooling costs even once the CAD is done. Tried 1/48 as stocking fillers but it's so unsatisfying next to 1/32. Fortunately for us paraffin heads the Kitty Hawk Mirage 2000C is imminent, and I have the Revell MiG-29UB in the stash which would make a fun what-if Transatlantic Alcock & Browne Centenary edition. Sorry Cees, I did make a start on this earlier, but had hoped someone else might have posted something better in the meantime. 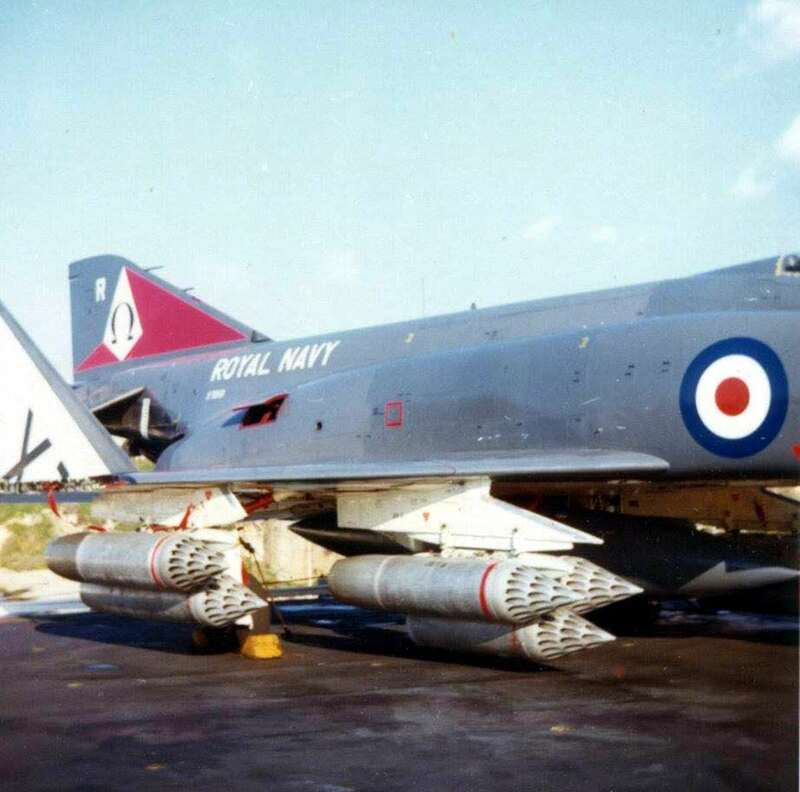 Sadly, despite having a few thousand Spey Phantom pics, this is the most informative upper aux air door one I have. Apart from the fuselage frames and the red interior colour, there's not much else to see. 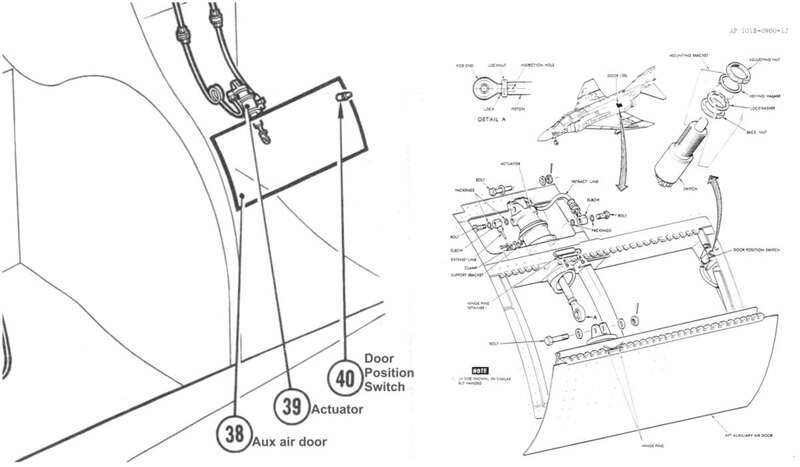 The manual provides a bit more detail with the door position switch and actuator and hydraulic line runs in the drawings, but little would be visible from most exterior viewing angles. 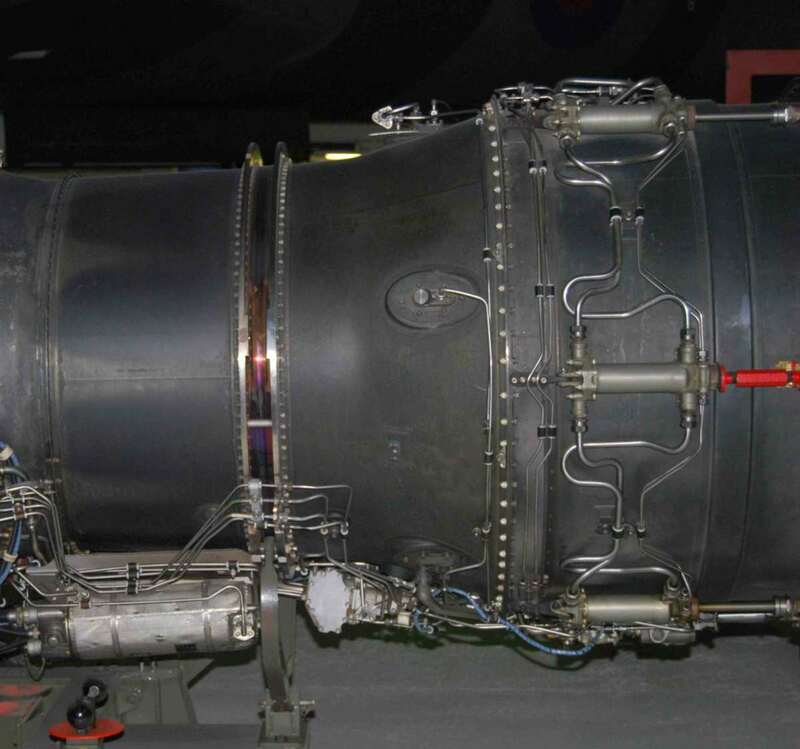 What would be more visible would be the upper body of the Spey engine, just where it goes into divergent mode before the afterburner chamber. 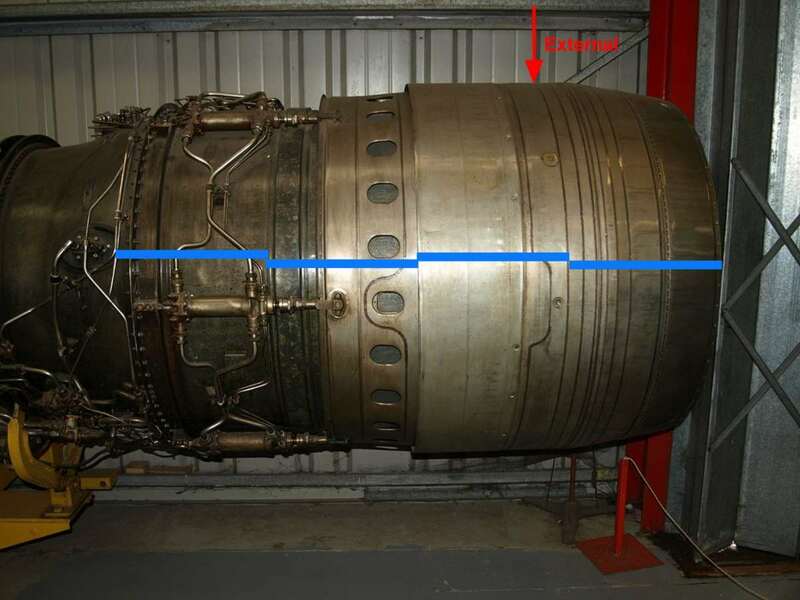 The blue lines on the pictures below represent units of visible exterior jet nozzle length, firstly on the airframe, and secondly on the engine itself. 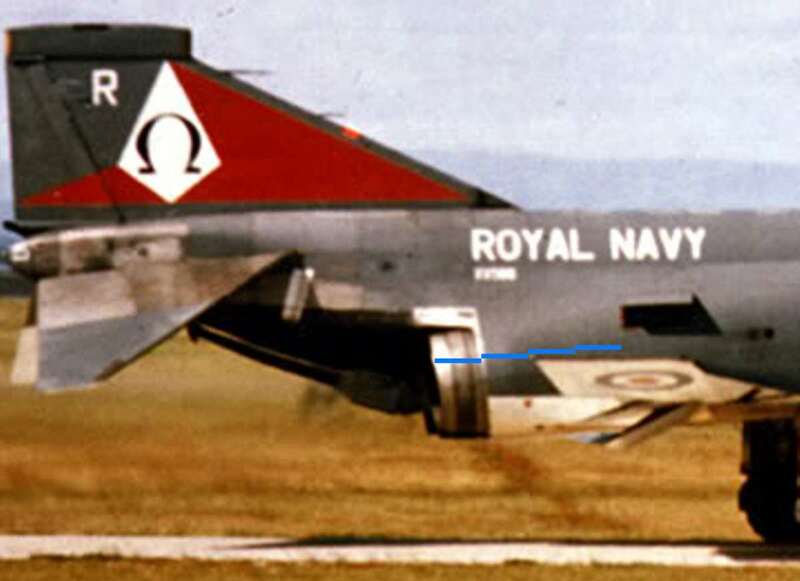 The red arrowed line on the second photo indicates from where the visible aft portion of the jet nozzle starts, with aft to the right. The third picture below shows the continuation of the engine body, but note that I've horizontally flipped it so that aft is on the right for the sake of continuity, and the pipework and accessories on the lower side are not necessarily a representation of what would be seen from underneath. Given the high temperature environment, I doubt there's much more to see in there. 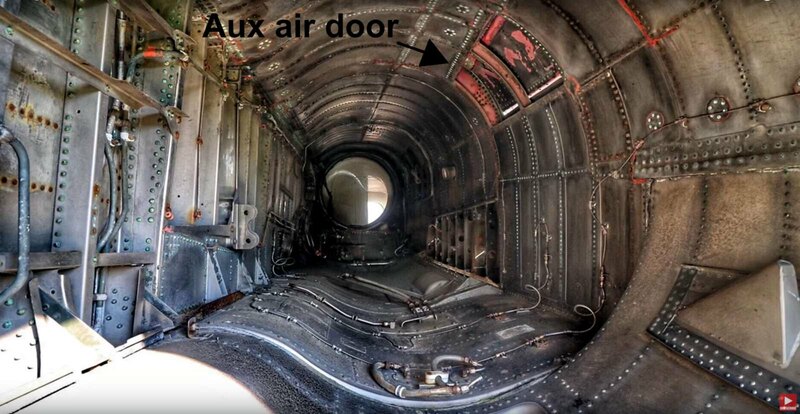 I extracted this from a recent video but despite that it's a good clear image of the other side of the aux air door from the inside. I was told to pound sand. My DO 335 kit had a screwed up canopy. The sprue gate was half on the frame and rest was on the window for a real high quality look. Sent message to whoever appeared to be in charge and told they did not send a replacement. Told that they only made enough parts for number of kits. Great service. Mike Krizan.